The primary purpose of the Grassland Restoration project was to remediate a former 30 acre pasture which contained woody vegetation, invasive vines and plants. The long term goal for the project is to transform this former cattle grazing pasture into a native grassland, which will be able to support grassland dependent species. The project has 2 facets: 1) the removal of existing invasive vegetation; 2) plant native grasses and wildflowers on the site. 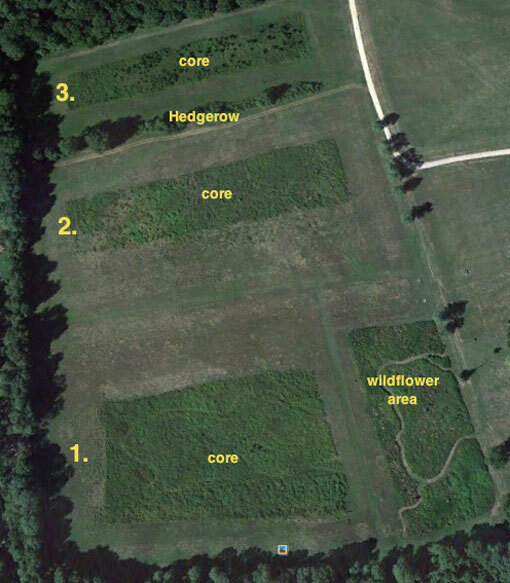 Site Description: The 30-acre project site was divided into three fields, each approximately 10 acres (labeled 1, 2 and 3 in photo below). Woody invasive plants dominated the central area of each field. 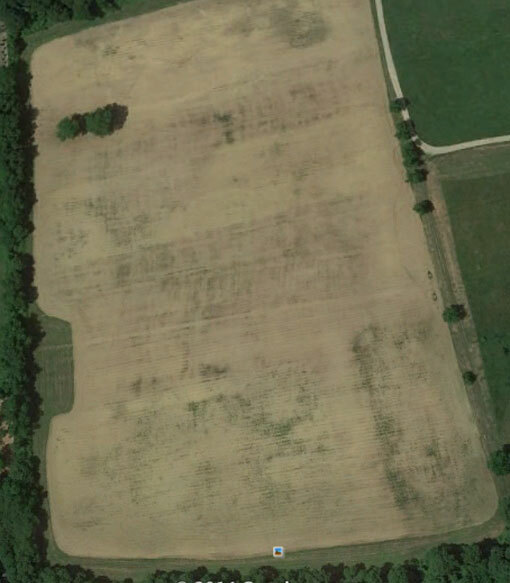 These woody areas are labeled “core” in the aerial photograph below. The remainder of each field (non-core) was composed primarily of cool season grasses, native and invasive forbs and some woody vegetation. A 700-foot hedgerow, which consisted of invasive vines and 7 trees including Norway maple, was located on the northern end of the site. Pre-restoration data collection: In August of 2011 prior to the start of the restoration project, vegetation surveys using the belt transect method were completed in all three fields. 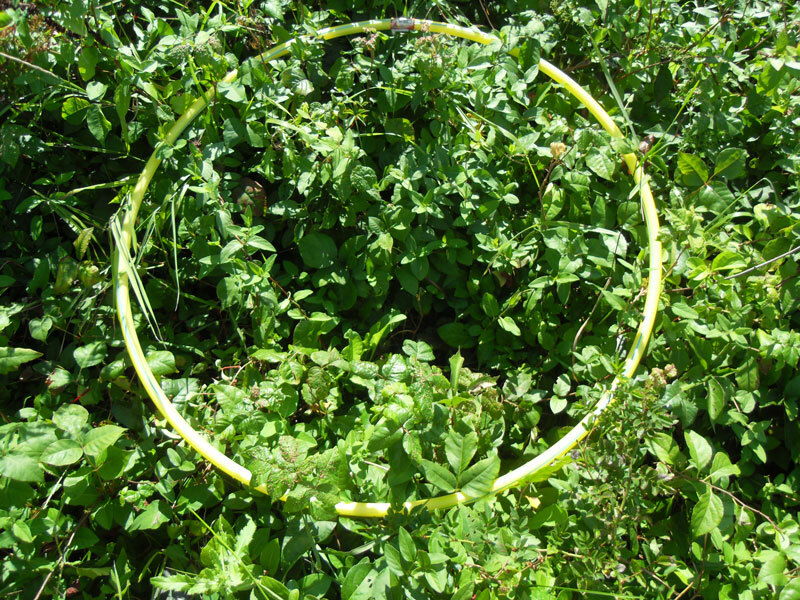 Each transect line contained 15 circular one-meter diameter sampling stations. The longitude and latitude of each sampling area was recorded along with the percentage of the major vegetation types. The results of these surveys showed that the existing vegetation was composed of at least 50% invasive plants. In addition, the surveys confirmed that woody vegetation dominated in two out of the three fields.